SUN Ltd is a PSIM installer specialized in unified security solutions. We design and configure graphic user interface tailored to your needs. Our team will follow your projects step by step during the deployment on site to set up the systems all together in a way to provide you a complete flexibility and a global point of view. We also provide a complete preventive and curative maintenance service to ensure your system performance post-sales. 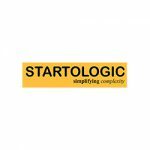 Startologic Technologic, India, was incepted in Bengaluru, the Silicon Valley of India with the philosophy of Simplifying Complexity by bringing powerful, advanced, relevant & time-tested softwares that enable managing the next levels of challenging security scenarios. Startologic is National Strategic Partner to Prysm Software and Herta, and represents Xanview and VCA Technology. Startologic carries the assurance that the end user can rely upon available expertise for support with regards to both the existing application or the upgrade to newer requirements in future. Startologic undertakes long term maintenance contracts for the products it represent. Startologic Technologies is also a development partner. Click here to see their innovations.